The world economy built on fossil fuels are facing the double challenges of resource exhaustion and environmental pollution problems. New energy becomes the inevitable choice to save human industrial civilization society. In the following articles, we are mainly talking about the advantages we have and the challenges we are facing to develop biomass energy industry. Right now, the complete world economy is built on the fossil fuels. The rapid development of the economy has consumed a large amount of the non-renewable energy resources, such as coal, petroleum, and natural gas, etc. From the researches of many authorized energy agencies, the resource carriers of the world economy will be nearly dried up in the first half of 21century, which also means the fossil economy development model type industrial civilization is coming to an end. Therefore, in the following several decades, ecologically civilized society will fully replace the industrial civilized society. People will start to used multiple types of renewable energy, such as biomass energy, wind energy, solar energy, etc. The problem of resource consumption and environmental pollution makes China fossil fuel and environment bearing capacity reaches the limit. The national sustainable development goals can not be realized under the traditional fossil economy model. Therefore, the development of renewable energy is the key point that can help China realize its sustainable development. China is a great agricultural country, the total area of agricultural land, forest land and the suitable land for forest is about 6.7 million square kilometers, which gives China great potential of developing biomass energy, and the biomass energy quantity can definitely partially replace the fossil fuels. 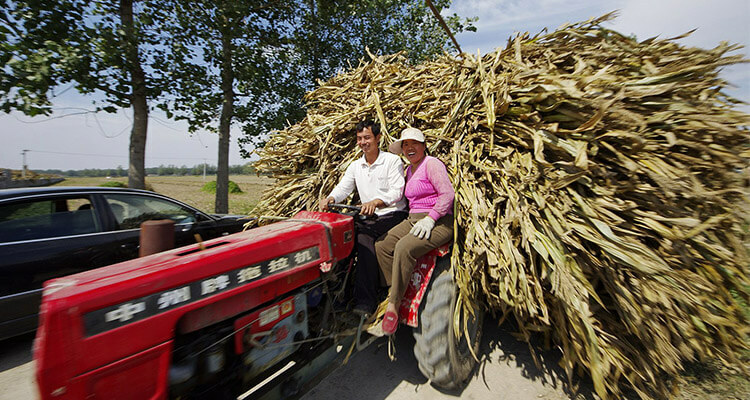 In China, there are over 700 million farmers, which gives us abundant labor resources, and low labor cost. Compare to western developed countries, this would be an obvious advantage. In western countries, the urbanization proportion normally over 80%, but in China, the proportion has just arrived at 50%, which includes 220 million farmers who work in cities. The central government of China has released a complete project of building the sustainable development model of low carbon, circular and eco-friendly economy. China has the unique China’s characteristic socialist market economy, the most obvious advantage of China market economy is that when the party and the country reach the consensus of the major development issues, China has the strongest promote force among the world. Due to the high efficiency of government decision-making, China can get through the things that need 3-5 years in western countries in only a single year. For example, China uses 5-6 years becoming the world largest country in wind energy, and solar manufacturing. To achieve that, developed countries use nearly 20 years. 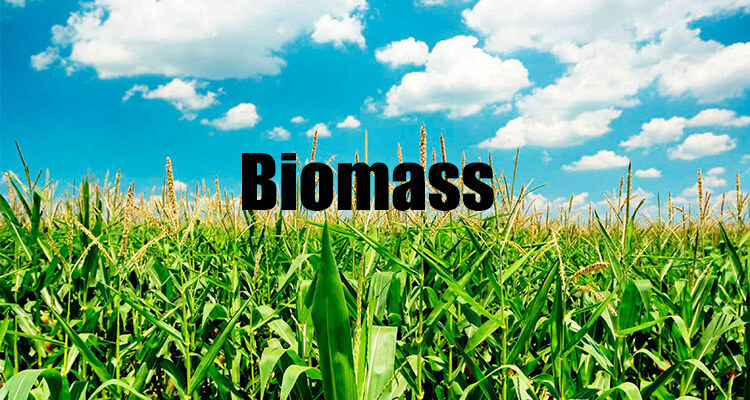 China biomass energy industry has a group of leading enterprises, with years of hard work, they master the core technology of the industrialization of biomass energy. From biomass pellet power generation to countryside methane making, from industrial alcohol manufacturing to the high-clean aviation kerosene, gasoline, and diesel oil making, all these biomass energy technology in China have reached the international advanced level. 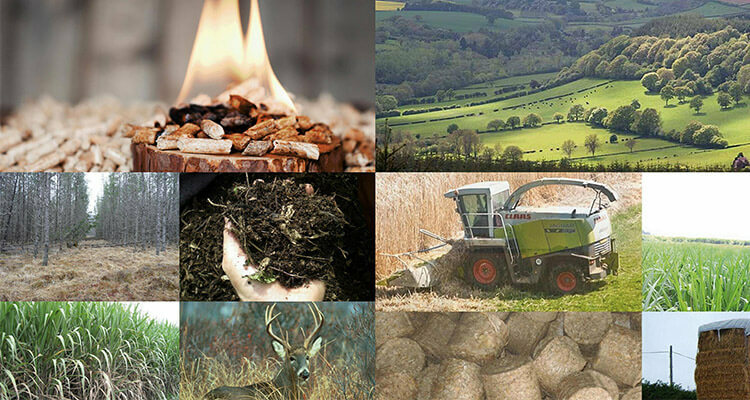 And among all types of biomass fuels, biomass pellet is the most easy-applied biomass fuel which has low carbon emission and high combustion performance and can be used for both industrial and residential purposes. And because of its good performance, more and more wood pellet plants have been established worldwide. Over the last decade, the development of biomass energy in China is tough. Back to 2005, the attention and enthusiasm of biomass energy industry were equal to wind energy and solar energy. However, people even have higher recognized degree of biomass energy than wind energy and solar energy. In the suburban areas of China, farmers used to burn the corn stalks in winter, which creates serious environment pollution. As the rapid development of biomass energy industry, the corn stalk burning phenomenon reduced rapidly, it does not only eliminate the pollution problem but also increase the rural labor employment and farmers’ incomes. In China, the biomass raw materials have extremely low cost. Either the peanuts shells and rice husks of food processing factories, or the sawdust, wood chips and barks of timber processing factories, or even the corn stalks in farmland, all these materials are basically zero cost. If you can move them away, the plants and farmers are willing to give them to you. Due to the abundant and cheap biomass raw materials, biomass power production technology developed fast in China. The difficulty and challenges China biomass energy development are facing is far beyond people’s expectation. In China, to develop biomass energy, the raw material collection business is a challenging subject. At the beginning, the enterprises do not realize the difficulty of raw material collection, some middlemen are venality, and dishonest, it is hard to get enough quantity of raw materials, not to mention the high quality raw materials. This kind of mess not only hurt the plant interest but also hurt the positivity that farmers providing biomass raw materials. At last, some biomass pellet plants have no raw materials to process, but at the same time, farmers start to burn corn stalks again. Market disorder is the main challenge of biomass energy development in China, biomass energy industry involves the interests of millions of farmers, it must be treated carefully.